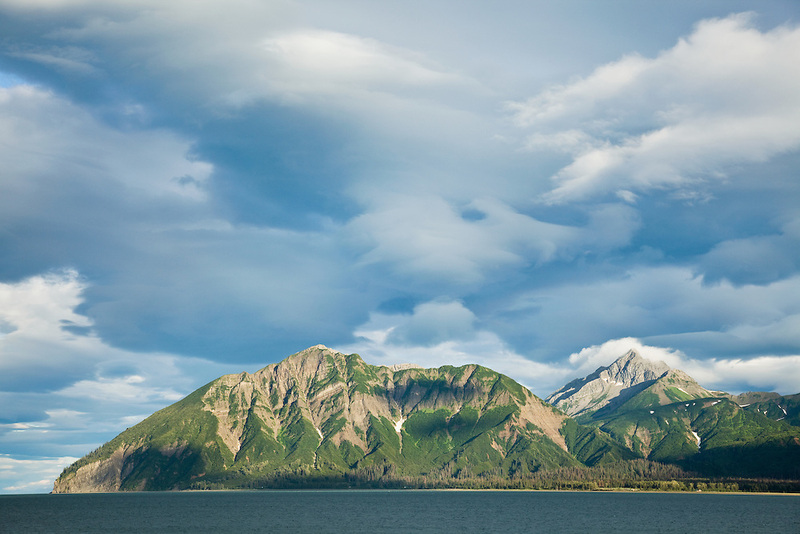 Dramatic evening light and clouds above Mount Chinitna and the Chigmit Mountains of Iniskin Peninsula along Chinitna Bay and Cook Inlet in Lake Clark National Park in Southcentral Alaska. Summer. Evening.